If you aren’t rich but could easily get used to the idea of spending your golden years living like a millionaire, you might want to consider retiring to Costa Rica. This popular spot, which is located between Nicaragua and Panama, attracts many older people who are drawn by the temperate climate, the beautiful setting and best of all, the low cost of living. In fact, many retired Americans are able to afford an extremely high quality of life in Costa Rica on a small budget. The natives, or “ticos” call living in Costa Rica “la pura vida” or “the pure life.” And the nation’s wealth of beautiful beaches, waterfalls, tropical rainforests and many outdoor activities available year-round seem to be worthy of such a high claim. There are currently as many as 20,000 or more Americans who have relocated there, and many of them are likely to stay there for good. According to most of the information available online about Costa Rica, the country boosts a stable economy and is relatively safe. In addition, many of the people who live in Costa Rica speak English and many American items and brands are readily available, so it is easy for people from the United States to assimilate there. Most visitors to Costa Rica can stay in the country on a tourist visa for as long as three months before needing to secure a more permanent status. If you plan to stay longer as a retiree, there are two legal status options you will want to explore. The first status is called “Pensionado.” To qualify for this status, you must be able to prove a monthly income of $600 ($7,200 a year) that comes from outside of the country. The other legal option is called “rentista” status, which requires people to prove a monthly income of $1000 (or $12,000 a year) that is also from a source outside of Costa Rica), and this amount must be guaranteed for a minimum of five years. Each of these retirement statuses is good for two years at a time, and then will need to be renewed. In addition, with either status you are prohibited from being able to work for anyone else in Costa Rica or collect wages. However, you can operate your own business in the country, as well as make investments, and you may also work for others outsideof the country (often using high-speed Internet access). Better yet, the profits or income generated from any work or business done outside of the country is not taxed in Costa Rica. If you do decide to try Costa Rica, experts recommend renting for a while to get familiar with the various sections of the country before purchasing. The central area, called Mesata Central or the Central Valley, is where most Americans end up settling. The country’s capital, San Jose, is also located here and offers important urban amenities. Other appealing options include the country’s scenic beach communities, which are located on the Pacific and Caribbean sides. These areas are warmer than the valley region and the property costs and expenses are also higher. Generally, you can expect to spend between $900 and $1200 a month for an individual to live well in Costa Rica. This includes rent (which starts at $300 a month for a nice two bedroom apartment and $500 for a house, and goes up from there), health care ($25 a month per person), and a range of utilities and services. To put this into perspective, understand that most native Costa Ricans live on between $400 and 600 a month. This means that with about double this amount in your budget, you will be able to pay for a wide range of luxuries you might otherwise not be able to afford in the United States. If, after renting for a while, you decide you want to buy, this is a feasible option since you don’t have to be a resident of Costa Rica in order to own property there. The price range really varies depending on the region. For instance, a home in a more rural area starts at $35,000, while a brand new two bedroom luxury villa in the popular Central Valley with lots of amenities can go for between $250,000 and $300,000. 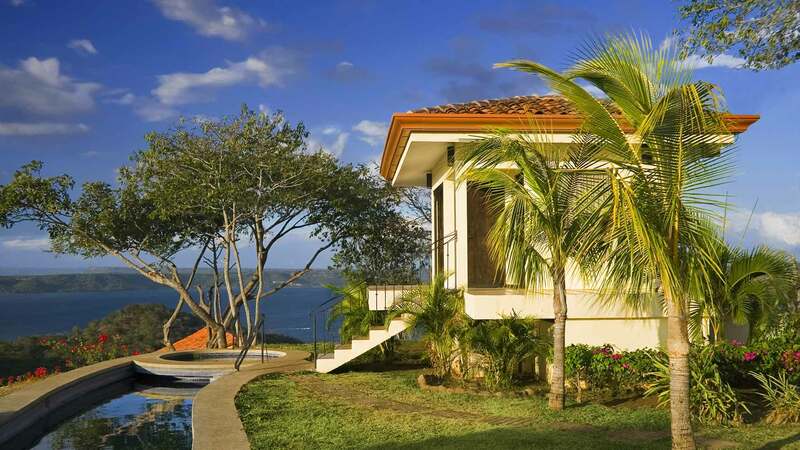 Keep in mind that the taxes on property are very high in Costa Rica, but to offset that expense, a decreased property value is generally recorded so buyers ultimately pay a discounted rate. If you are want to purchase a home in Costa Rica, be sure to seek professional assistance to guide you through this complicated process. Also, be prepared for the fact that as an American to have more difficulty finding financing from financial institutions within Costa Rica than you would otherwise face in the United States. Costa Rica welcomes more than 1.6 million tourists each year from all over the world. If you are considering retiring there, it might be worthwhile to join them and see for yourself what the country offers. In addition to all of the benefits, Costa Rica also has one of the highest life expectancy rates, with residents there living to an average of 77 years of age. This is likely due to the relaxed lifestyle the people who live there enjoy every day.